Diabetes is a condition characterized by elevated levels of glucose in blood circulation, because the organism cannot use it properly. This is due to the fact that the pancreas does not produce insulin, or enough insulin, in order to assist glucose in entering your body cells or the insulin produced does not do what it should. Insulin, what is it? Symptoms of diabetes. Insulin is necessary for life. It is a hormone produced by the pancreas and helps glucose enter the cells where it is used as a fuel for the body. The main symptoms of diabetes, if not monitored, are heightened thirst, abnormal frequency of urination-especially during the night, tiredness, weight loss, itching in the genital’s area or frequent incidents of thrush, slow healing of wounds and blurred vision. Glucose originates from the digestion of carbs. It is produced in the liver. Carbs exist in several foods and beverages. Those are starchy foods like bread, potatoes and rice as well as fruit, some dairy products, sugar and sweets. This is a stage before diabetes and emerges when glucose levels in the blood are above normal but not high enough to warrant a diabetes diagnosis. Same as with diabetes, glucose in the blood is elevated and your organism cannot use it properly. This is either because your pancreas does not produce enough insulin or because the one produced does not function correctly (insulin resistance). 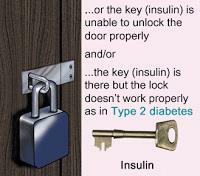 Insulin helps glucose to enter your cells where it is used for energy. People with glucose intolerance are highly probable of developing type II diabetes. Furthermore it looks like glucose intolerance raises the risk of having cardiovascular problems. Attaining and maintaining a normal weight.